THREE Mallorca beaches were red-flagged after heavy rains caused human waste to flood the Mediterranean. 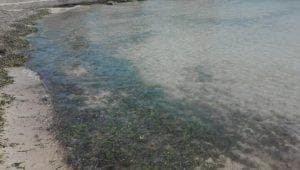 Emaya confirmed the health risk at Can Pere Antoni, Ciutat Jardí, and Playa de Palma beaches after rain flooded the sewer system. It is the fourth time this year that Can Pere Antoni has been closed due to sewers flooding the sea. Every time Mallorca gets more than a light rain, surrounding waters are contaminated due to insufficient city pipes unable to hold the surplus. This year Can Pere Antoni lost its Blue Flag due to flooding sewers and molten plastics from the port expansion, which the Olive Press has reported on extensively. Recently, the local government signed off on an expansion of the wastewater treatment plant in Coll de’n Rabassa. Emaya reports the high-tech expansion will need a budget of around €80 million.